GOLPH™ is a fast, fun and easy game for you, your family and friends! Just as in the game of golf, the object of GOLPH™ is to get the lowest score possible. This is done by acquiring low cards, as well as matching sets of 3 identical cards. GOLPH™ also has Mulligans, Duck Hooks and Lost Balls, so play wisely! It's addictive fun for everyone, whether it's sunny, windy, rainy or snowy! Have a ball with GOLPH™! 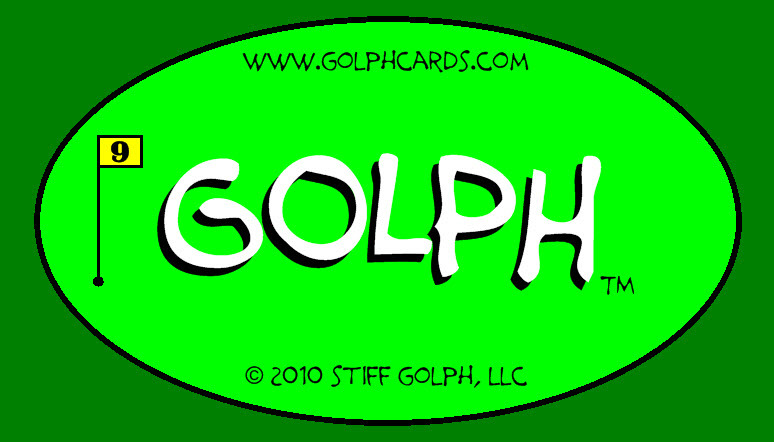 There is something nice about shutting off the noisy computers, sitting down with family and friends, and playing a fun game like GOLPH™. This game of strategy may not be the most peaceful, but it's fast-paced and a lot of fun! GOLPH™ cards are a great gift for everyone, and they're much less expensive than video games! You will get hundreds and hundreds of hours of fun for only $5.00! Order GOLPH™ for your family, friends or foursome today! Copyright 2010-2016 Jason Stiff All rights reserved.